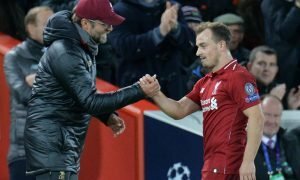 'Never a friendly' - Most Liverpool fans cannot wait for this huge pre-season clash | The Transfer Tavern | Where football transfer rumours fly or die! This summer has seen some cracking pre-season action so far. Tottenham put four goals past Roma, Liverpool had some late drama when they beat Man City through a 94th-minute penalty and Arsenal youngster Emile Smith-Rowe scored a worldie against Atletico. However, the one that all of the Liverpool fans have been waiting for is against Manchester United tomorrow evening. Manchester United vs Liverpool is always a huge fixture for both clubs, be it in the Premier League, European competition or a pre-season ‘friendly’ the Reds are always excited to see their side take on the Old Trafford faithful and tomorrow night will be no different. Liverpool have already played both Borussia Dortmund and Manchester City in America this summer, beating City but losing to Jurgen Klopp’s former club. They’ll now ben keen on ending their pre-season tour of America with a win against their most bitter rivals. It’s been a long time since the Reds have beaten United, with the last time they came out on top over 90 minutes being back in March 2016 in the Europa League. Since then they’ve met five times, drawing four of those and losing one. If the Reds do beat United, it won’t mean much more than pride, but that’s often all the Liverpudlians are bothered about when they face their Mancunian rivals. I'm gonna be there. It shall be glorious. As you can see, the fans are buzzing for the United friendly and, as usual, it probably won’t be that friendly.